Javier Téllez, Rotations (Prometheus and Zwitter), 2011, two 35-mm film projections, 7 minutes each. Installation view. 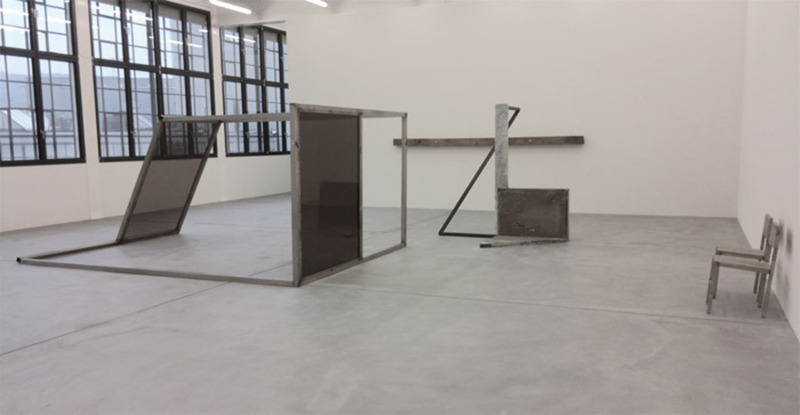 View of “Oscar Tuazon,” 2012.